PROTO Scooters is a rider based freestyle scooter company founded in 2008. Since it's inception, PROTO has built one of the strongest names and brand followings in the industry because at our core we are riders; designing, manufacturing and distributing scooter products to supply other riders with the best aftermarket components available in the industry. The shortest stack on the block has just dropped. 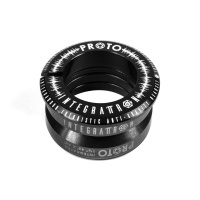 Integrattron Headset is made by the team over at Proto. A massive effort has gone into creating a lightweight set with as many integrated parts as possible. Black and white socks from Proto. 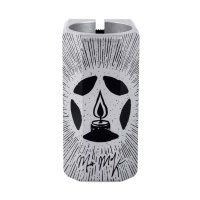 Logo on both sides of the calf and across the toes. This Laser cut logo grippe from Proto is the sleek, low key alternative with a neat cut logo. 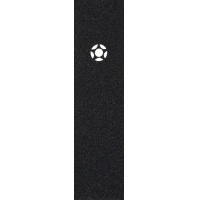 This griptape can bring amazing results to your scooting. 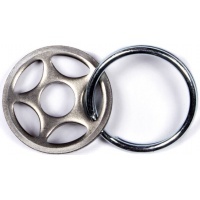 Protos' Death Star Keychain is finished in brushed metal. Featuring the classic logo from the brand that invented the SCS. Why wouldn't you want to rep Proto? 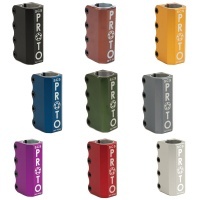 The new Full Core Grippers from Proto in the Silver and Black colour scheme are a beautiful new addition to Protos top end range of wheels. With a softer PU grip is maximised. 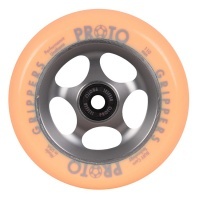 One of the most appropriately named wheels on the market, the Proto Gripper does more than just grip though, it is also one of the fastest rolling wheels out there. 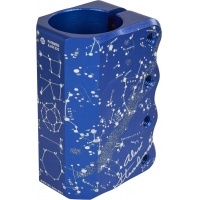 These Grippers from Proto are the ride of choice for Parrish Isaacs. Ice mint core with a white PU and some incredible graphics leaves this wheel sitting amongst the best. 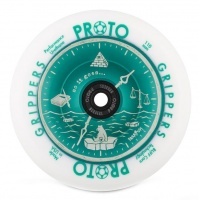 One of the most appropriately named wheel on the market, the Proto Gripper does more than just grip though, it is also one of the fastest rolling wheels out there. The first sig baby SCS from Proto. Alex Steadman is one of the original Proto team riders and a huge influence in the scooter world. Finished in a constellation design. This Laser cut logo grippe from Proto is the sleek, low key alternative with a neat cut logo. 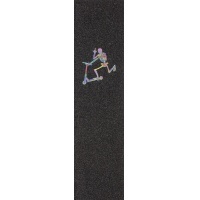 This griptape can bring amazing results to your scooting. Heavy Duty for max grip. With the SD Skeleton griptape, Proto is sending a strong signal to all haters. And on top of that, they provide scooter riders with the exact amount of grip for sessions.